and other special venues in and around East Sussex. but if you have only just found us, don’t despair for undoubtedly there are many more to come. 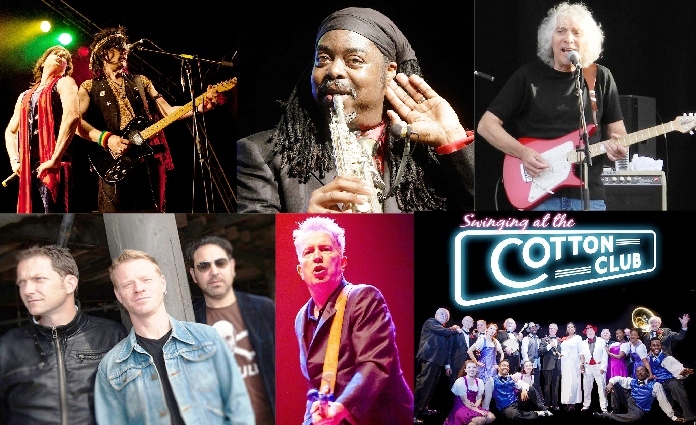 Those who played for us in 2018 included…..
Albert Lee, Brooks Williams & Hans Theessink, Calan, Celtic Fiddle Festival, Chalk Horse Music, Chris Difford & Boo Hewerdine, Chris While & Julie Matthews, Courtney Pine, Dave Kelly, Dr Feelgood, Eliza and Martin Carthy, Fairport Convention, Feast of Fiddles, Gigspanner Big Band, India Electric Co, John Mc Cusker & Heidi Talbot, Juan Martin, Kathryn Roberts & Sean Lakeman, King King, Klezmer-ish, Lindisfarne, Los Pacaminos, Martin Simpson, Miranda Sykes, Naomi Bedford and Paul Simmonds, O’Hooley & Tidow, Otis Gibbs, Peter Knight & John Spiers, Ray Cooper, Ric Sanders, Sam Kelly and the Lost Boys, Shirley Collins, Show of Hands, St Agnes Fountain, Steve Knightley, The Blue Fingers, The Blues Band, The Copper Family, The Equatorial Group, The Fureys, The Pretty Things, Urban Folk Quartet. After a sell-out Spyboy show at St Mary in the Castle, Hastings earlier in 2018, the band makes a welcome return to the south coast with a classic line up of long-time members, fronted by the band’s original founder, Rod Clements. All seats £26.50 – Available in person from the Royal Hippodrome Theatre, 108-112 Seaside Road, Eastbourne, and by telephone 01323 80 20 20 and online at www.royalhippodrome.com. 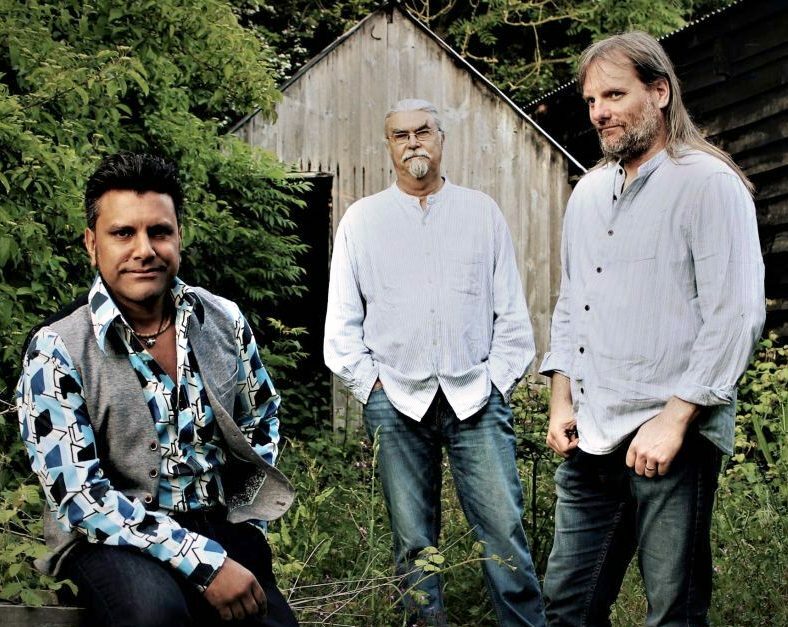 Led by Steeleye Span’s long serving bowman, Peter Knight, probably one of this country’s best known and loved fiddle players, Gigspanner includes the dynamic percussionist, Sacha Trochet and guitar supremo Roger Flack. Multicultural influences are fed into the mix, that flirt audaciously with French, Cajun, African, Cuban and even Aboriginal traditions, but whatever the style, Peter Knight is the star, skipping and slipping with the bow or seamlessly switching to pizzicato finger picking. Twice nominated for the Mercury Prize and winner of innumerable other accolades over a twenty year career, Eliza Carthy is a truly inventive and innovative fiddle player and singer and has performed and recorded with a diverse array of artists including Paul Weller, Rufus Wainwright, Nick Cave and Joan Baez. Her father, Martin Carthy was born in 1941 and for the past fifty years has remained one of the most influential figures in music, inspiring a generation of artists including Bob Dylan, Paul Simon and Richard Thompson. 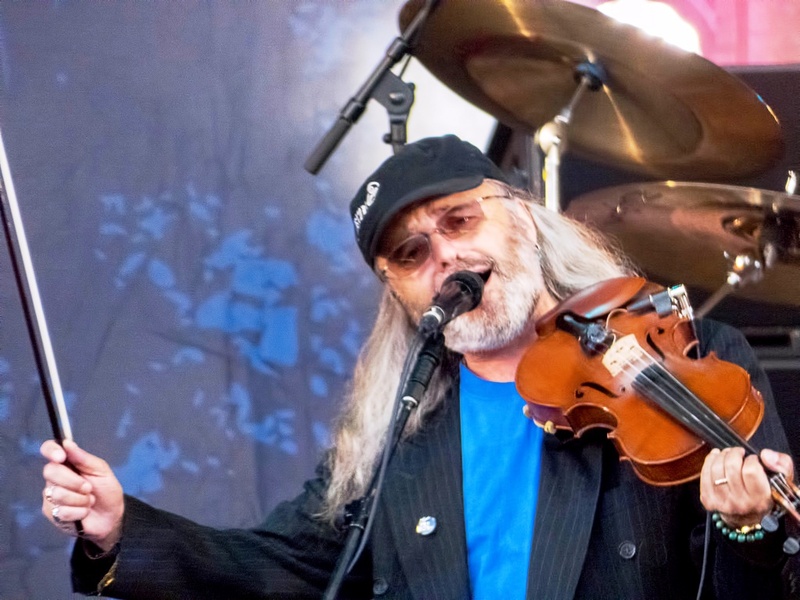 With a back-catalogue that includes trailblazing musical partnerships with Steeleye Span, the Albion Band and the Watersons, he has been rewarded with an MBE and a BBC Lifetime Achievement Award. Ten years or so ago Digby Fairweather’s Half Dozen was one of British jazz’s most talked-about acts while they toured and recorded with blues-legend, George Melly. 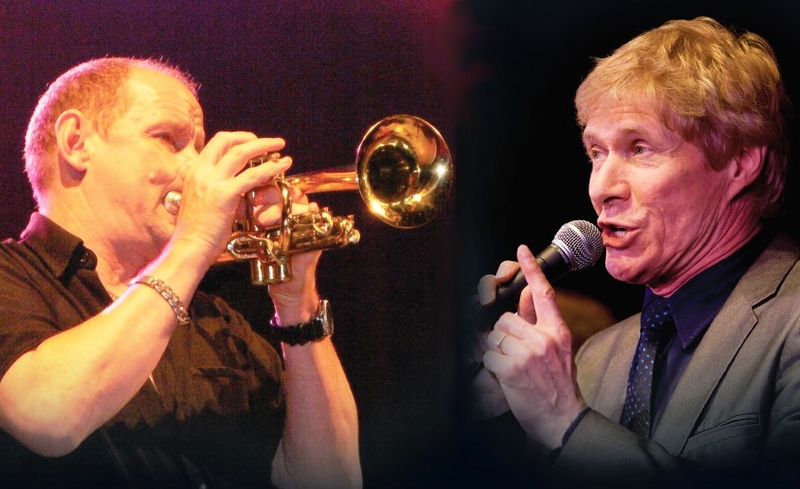 If you like Dixieland music mixed with a bit of R&B, then this rarely performed show is not to be missed – expect to hear those well known hits like, ‘Doo Wah Diddy’ and ‘Pretty Flamingo’ along with the immortal songs of Duke Ellington, Louis Armstrong, Louis Jordan and classics from the Great American Songbook. Rachel Newton with The India Electric Co. Founder member of The Furrow Collective, The Emily Portman Trio and The Shee, Rachel Newton plays fiddle, viola and harp and was voted Musician of the Year at the 2017 BBC Folk Awards. Her most recent album (her fourth) was recorded in her late grandparents’ old croft house in Wester Ross in the Highlands of Scotland. Support on the night comes from Spyboy and Old Chapel favourites, The India Electric Co (Cole Stacey and Joseph O’Keefe) who hail from the West Country and play traditional instruments in contemporary styles with influences from around the world. 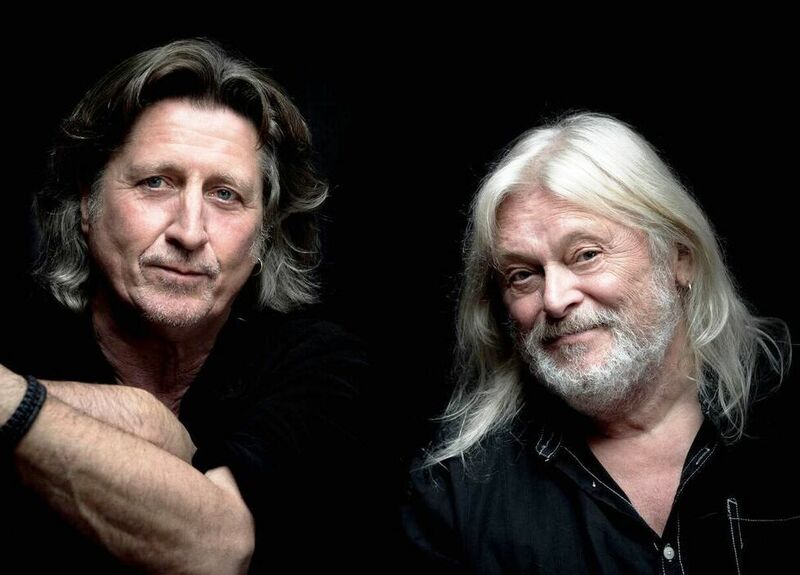 The multi-instrumental half of the award winning duo, Show of Hands, Phil Beer is a most popular ambassador for acoustic roots music. He is perhaps best known as a top flight fiddler – but his skills don’t stop there, for along with his rich vocals, he also plays slide, Spanish and tenor guitar, viola, mandolin and South American cuatro. 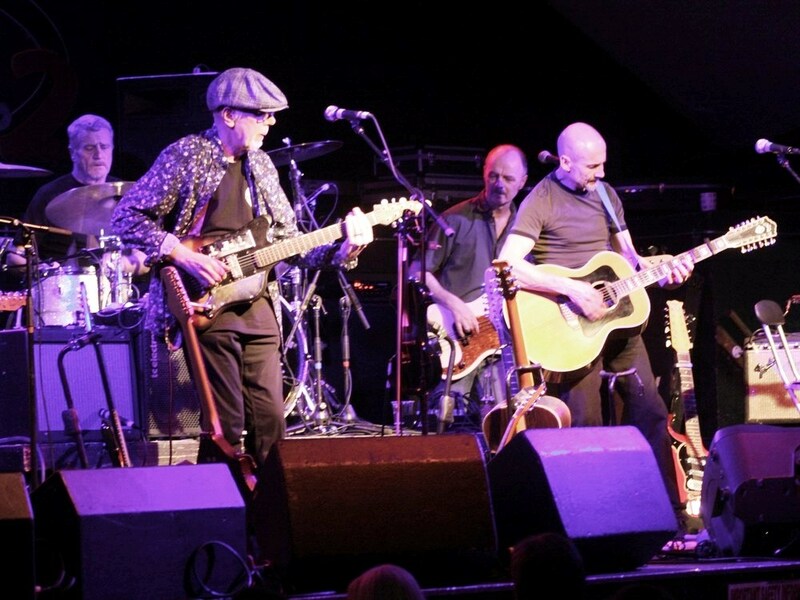 Simply described as the most celebrated folk-rock band of all time, Fairport Convention has regularly gained critical acclaim and is still able to attract over 20,000 music lovers to their annual Cropredy Festival. Over the years such distinguished musicians as Sandy Denny, Richard Thompson, Dave Mattacks, Iain Matthews and Dave Swarbrick have all done their bit with the band, which now, along with Simon is in the safe hands of Dave Pegg (1969), Ric Sanders (1985), Chris Leslie (1996), and the superb percussionist, Gerry Conway (1998). Two time BBC Folk Award winners Ciaran Algar, (the All-Ireland Championship winning fiddle player and one of Sam Kelly’s Lost Boys) and Greg Russell with his powerful voice and driving guitar style, combine original contemporary songwriting with traditional material and are undoubtedly one of the one of the most exciting young folk duos on the circuit today. 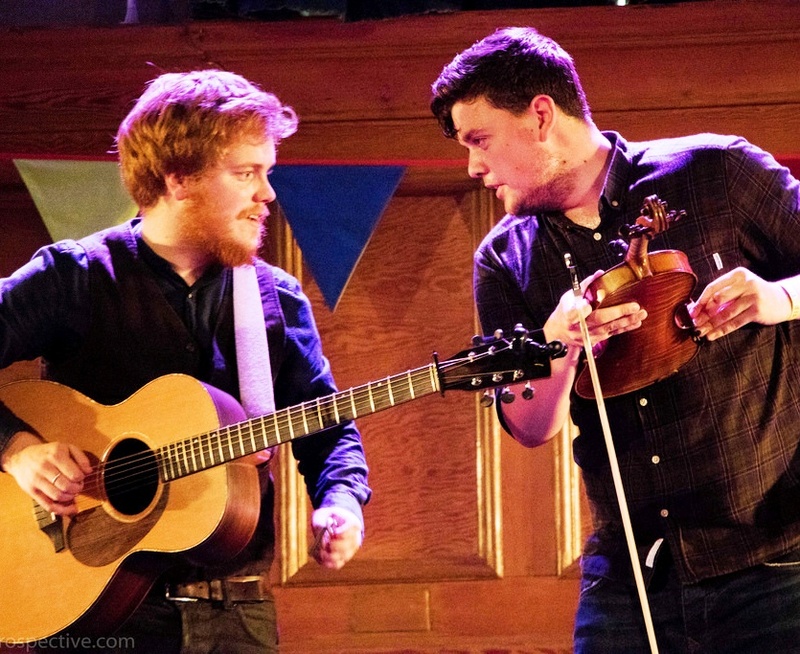 Brighton based Ben Paley who has been playing fiddle since the age of six opens the show – expect Swedish, Irish, Klezmer and American traditional music from the son of Tom Paley, a founder-member of the seminal New Lost City Ramblers. 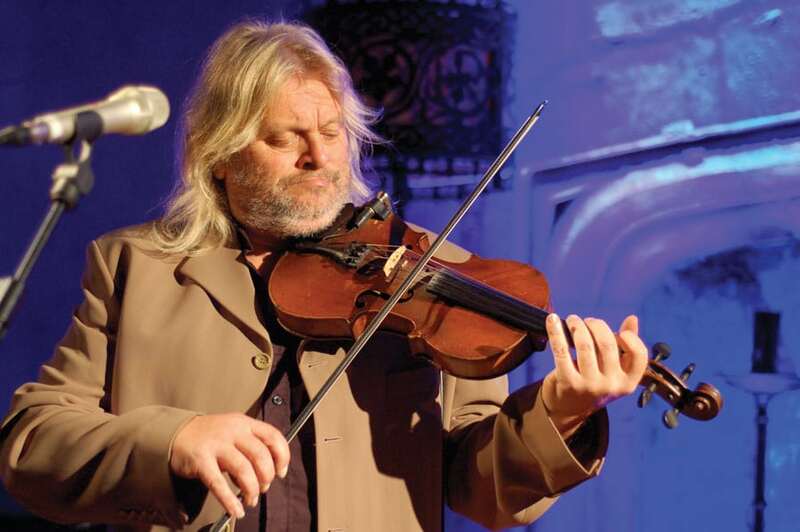 Chris Leslie is a multi instrumentalist and singer-songwriter, primarily known for the past nineteen years for his work with Fairport Convention and regular Spyboy concertgoers will have seen him not only with Fairport but also with Feast of Fiddles and St Agnes Fountain at Christmas. He has also provided music for a number of Radio Four plays and classic serials, and his fiddle playing has been heard on the TV series Heartbeat, Midsommer Murders and Billy Connolly’s World Tour of Scotland. 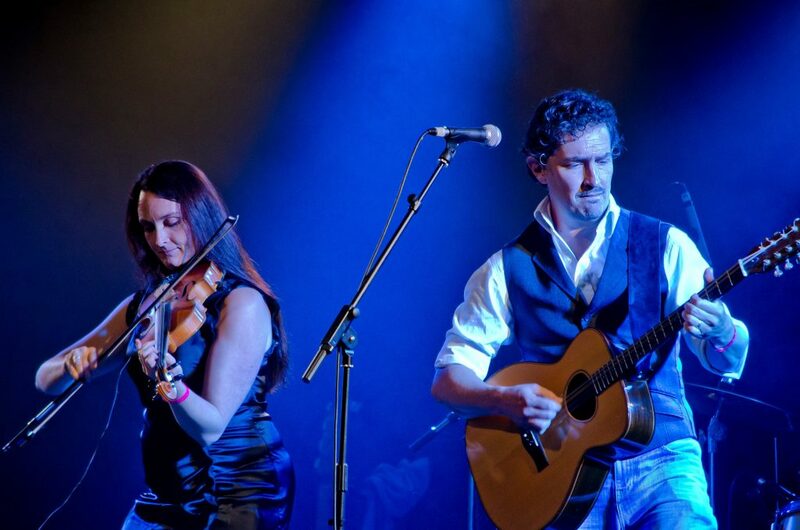 Sharing the stage with Chris is Brighton’s Tim Cotterell , fiddler, multi-instrumentalist, producer and member of the Reluctant Ramblers, the band led by John Jones of Oysterband. Songwriter and celebrated fiddle player Nancy Kerr, spent her early years playing with Eliza Carthy. More recently it has been with the Sweet Visitor Band and the ground breaking super group, The Full English led by Seth Lakeman. 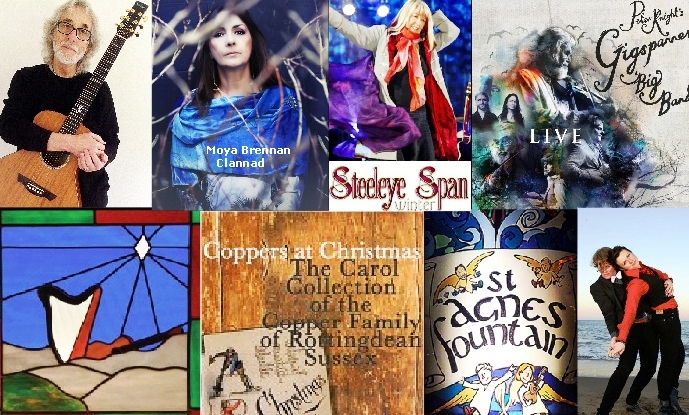 She has a very special voice and has been rewarded with six major BBC Folk Awards including Folk Singer of the Year. Nancy comes to the Old Chapel with her husband and regular stage partner, James Fagan. When Chris invited his old friend and Elvis Costello’s former right hand man, Steve Nieve to join him, we needed a piano. There wasn’t one at the Old Chapel, but Eastbourne’s Birley Centre has rather a nice Steinway – Steve approved – and the show was moved. 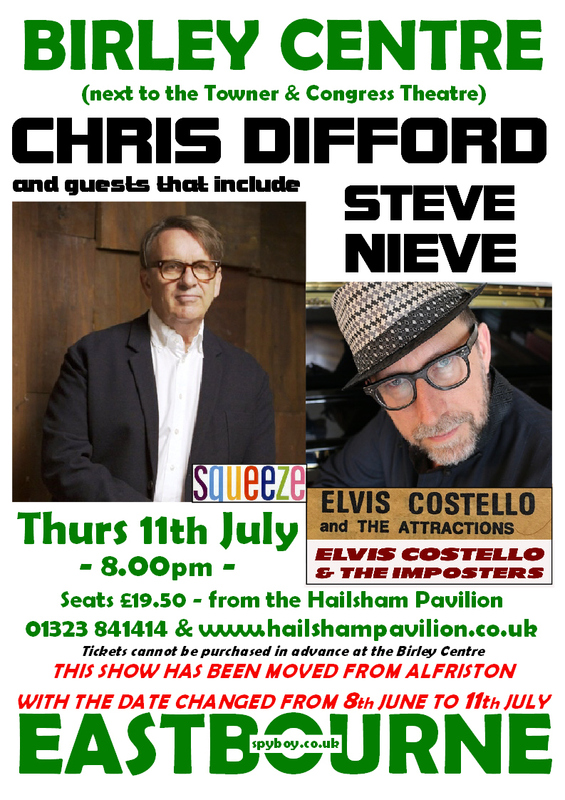 So now it will be a stand up and sit-down night of tales and songs from all of those years that Chris spent in and out of the studio and on the road with Squeeze – with a little help from the Attractions, Imposters and of course Squeeze and Madness player – should be rather special! The music festival held on a dairy farm in the Catskill Mountains, northwest of New York City, fifty years ago in August 1969, attracted an audience of more than 500,000. Throughout his career Iain Matthews (an original member of Fairport Convention) has been involved in many projects, including the years spent with his band, Plainsong…..then in 2011 Matthews Southern Comfort was reborn – expect a set of both old and new songs. that includes performances from a “who’s who” of sixties bands and was selected for preservation in the United States National Film Registry by the Library of Congress as being “culturally, historically, and aesthetically significant”. 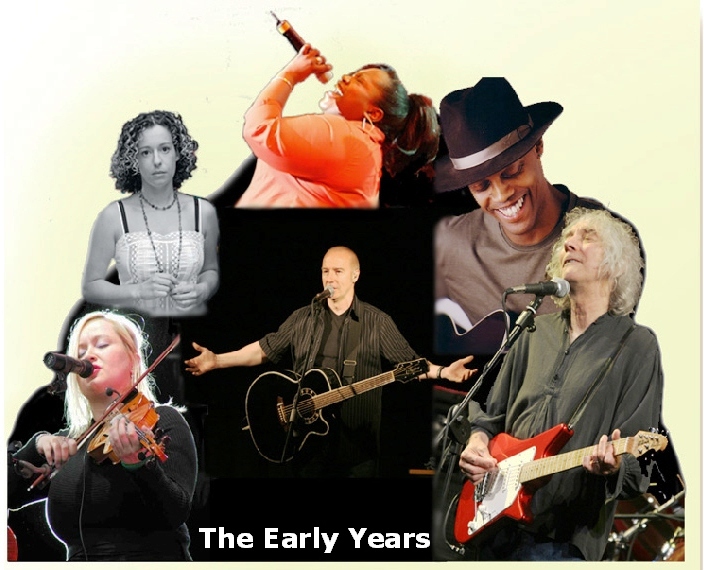 presents folk, roots, blues and acoustic music at the Hailsham Pavilion and other special venues in and around East Sussex. If you would like up-to-date information sent to you, please click info@spyboy.co.uk and leave your email address with us.